As a wise green Jedi Master once proclaimed, "Size matters not." 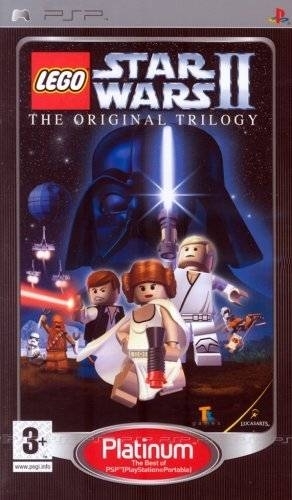 The handheld versions of LEGO Star Wars II: The Original Trilogy feature unique ways for you to build and battle your way through a tongue-in-cheek Star Wars galaxy, while still maintaining the fun and endless customization of LEGO set during the time period of the first three Star Wars films. 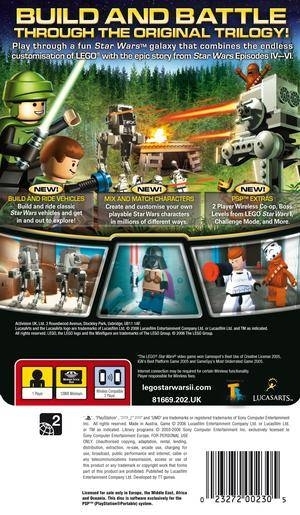 The PSP version of LEGO Star Wars II maintains the core level design and features found in the console and Windows versions of the game, but it adds several unique features of its own. Play with a friend and share unlocked characters (more than 50!) via ad-hoc Wi-Fi. Challenge mode adds hours of play for Star Wars fans as they unlock 18 of their favorite characters found in the original LEGO Star Wars: The Video Game (never released on PSP). 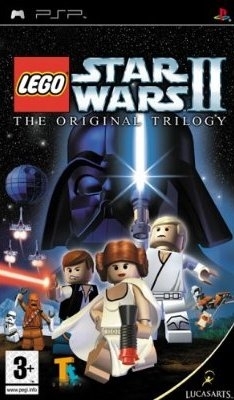 By playing through timed versions of each of LEGO Star Wars II's levels, collect pieces of characters such as Darth Maul and General Grievous hidden throughout each level (just as mini-kit pieces are scattered about levels in Story mode). Once all five pieces of a character have been assembled, you can play as that prequel character in Free Play mode. "The Story So Far" allows fans to relive the story of Episodes I, II and III in classic LEGO Star Wars fashion. As an even bigger bonus, they can play the last level of each Episode found in the original hit game, including Obi-Wan versus Darth Maul, Anakin versus Count Dooku, and Obi-Wan versus a newly turned Anakin on Mustafar. A million seller... 3.5 years later! Wow, so close! 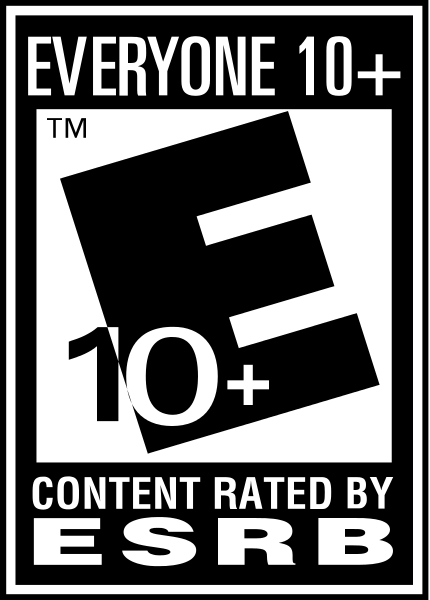 It will eventually reach 1M with US numbers, but an Others update would really be good.